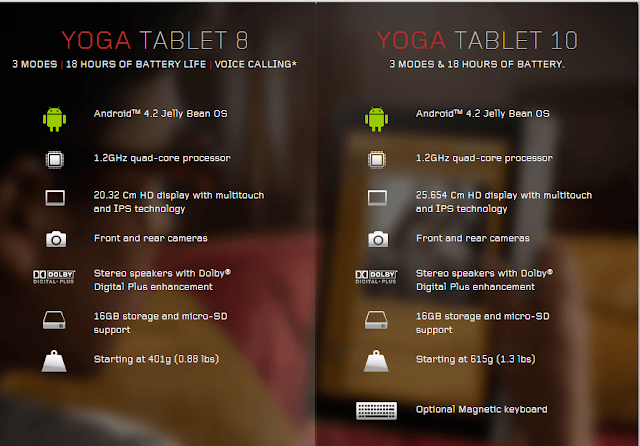 Lenovo has recently launched new tablets in market- Yoga tablets. 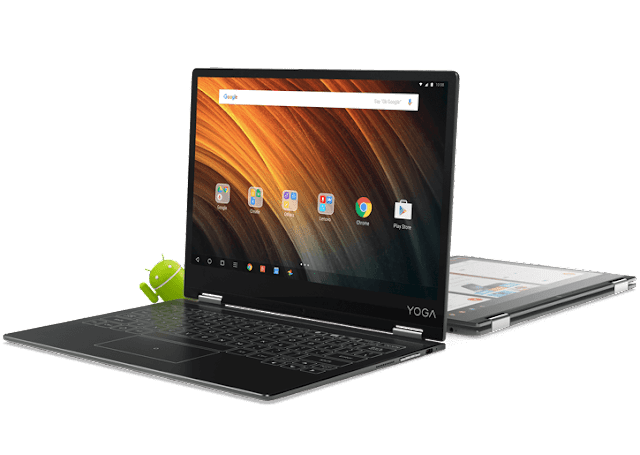 The product offers a thin, light weight tablet that has a strong battery life [18 hours] and an innovative, multi mode design sets it apart from other tablets. It is touted as better than iPad. An average tablet by the way gives you 11 hours of battery life. The conecpt behind this device was the Lenovo's idea to make something that stands apart in sea of similar looking, similar functioning products. It has cylindrical handle that enables you to use it in three different modes- Hold mode, Stand mode and Tilt Mode. Hold Mode- This is best mode for reading. You can just hold / grab the handle for a more comfortable experience while reading that includes e-books, long emails, articles, messages etc. Stand Mode- Rotate the cylinder for 90 degrees to enable stand mode and use your tablet for watching movies or having video chats. Tilt Mode- Ideal for web browsing, gaming and typing. The design is indeed unique, industrial and light. What else do you expect from the world's top PC manufacturer who sold more phones than PC last year. It is now out in market to give all tablet a run of their money and claim back in their forte in PC manufacturing, extending it to tablets. The design is quite unique to any other tablet in the hot Android market. Cons: The price could be better as copared to Nexus 7 as launched last year. Overall it is a definite buy! 4 out 5.